Intel's CEO resigns and who I think will come next. The most surprising news of the week comes from Intel, in the blink of an eye the CEO just got up and left due to a previous relationship with another Intel employee which is against basic company policy, the policy is named "non-fraternization" and I believe his resignation is a blessing in disguise. I believe that Brian Krzanich was not a good CEO for many reasons such as his choice to lay-off 12000 employees in 2016 which greatly destroyed employee morale within the company, employees who now feared for their jobs, not only did he lay-off 12000 people, he later threatened if people did not take the buyouts/compensation packages that more lay-offs would occur - further destroying company wide morale. All these lay-offs must be pretty stressful, right? Yes they are. So much so that attorneys have a divorce guide for Intel Employees. 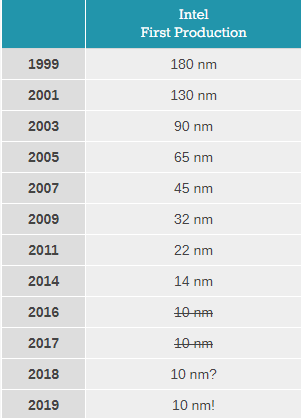 Another reason I believe that Brian Krzanich was a bad CEO at Intel was because of the dishonesty and vagueness around their 10nm process, this process was originally meant to go into high volume production in 2015 with products launching in 2016. That 2015 date has become 2017, then 2018 and now 2019, I believe Brian Krzanich was not letting on all that he knew about Intel's 10nm process, I believe he was dishonest in saying that it would be ready for 2015, 2016, 2017 or 2018 and was just using those dates to save face from the BoD and investors. My friend, Ashraf Eassa from the Motley Fool has done a great article recently on this topic. That's enough on why he is a bad CEO (there are many others but those are the two biggest reasons), lets get talking about the potential candidates that will succeed him. I believe Murthy will be the companies internal favorite mainly due to his current Chief Engineering Officer (CEO) position at Intel, Murthy is also the group president of Technology, Systems Architecture and Client groups at Intel, his group brings together Intel’s Platform Engineering, Client Computing, IoT, Software and Services, and Design and Technology Solutions these roles make him the second most powerful executive behind CEO. Murthy was originally working at Qualcomm as a VP and co-president of their CDMA Technologies before Intel paid $25m to poach him to come work at Intel, when Murthy arrived at Intel, a memo of his leaked where he "bashed" the company for not having a focus on customer/product execution that was creating competitive gaps in the companies lineup. I personally believe Murthy would be a good fit for the CEO position as he appears to be a straight shooter and will say what he believes regardless of the company he works at(within reason of course). Another internal pick for Intel, Gregory Bryant is the GM of Intel's Client Computing Group which handles stuff like their Mobile/Desktop/HEDT platforms and CPUs as well as other things like 4G/LTE modems that appear in Apple products like the IPhone. The most recent deliveries from Bryant are products like the i7 8700k or I9 8950HK from the Coffee Lake lineup and the i7 8550u or I5 8250u from the Kaby Lake R lineup - both of these lineups increased core counts and frequencies for their product segments to deliver a true generational jump and to improve their competitiveness versus competitors like AMD. Bryant is very charismatic, has a deep passion for delivering a whole platform and experience for the customer and I believe he is a competent leader for Intel's CCG group as well as the CEO seat. Navin Shenoy is another potential internal pick and he is the VP and GM of Intel's Data Center Group. Today that group is Intel's fastest grower and is one of its growth drivers. I haven't seen enough of Shenoy to form a proper opinion on him, but going on how DCG is growing and executing and what I have seen of him, I would say he would be a pretty good fit for the CEO position at Intel. Pat Gelsinger is the first "external" pick I believe Intel would be looking at. I say "external" because Pat is an Ex-Inteller and was previously the CTO of Intel and was the reason IDF was created. 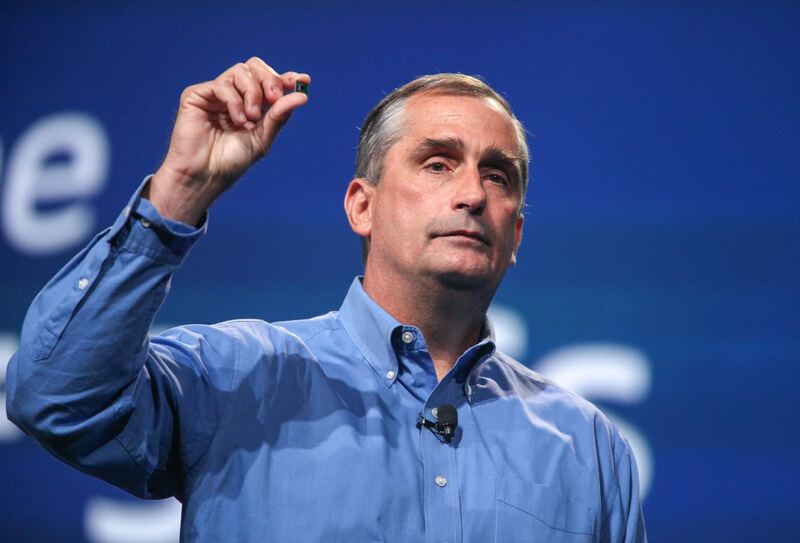 Later he left Intel to join Dell EMC to later become the CEO of VMWare. I was not following technology at all when Pat was at Intel, but I do know that he did his job great at Intel and has a laser eye focus on execution he also understands the corporate culture at Intel as he has previously worked there. I believe Pat is the favorite of many including Intel's if they decide to pick a CEO externally. Sadly however, Pat has said publicly that he is happy at VMWare and will not be moving anywhere else. Dadi Perlmutter is another "external" hire as he is also an Ex-Inteller. Dadi Perlmutter was the GM of Intel's Architecture group for years and it was executing well under his reign. Perlmutter was a runner up for the CEO position that Brian Krzanich had seized instead of him, anyone I have spoken to have agreed that they would have preferred Perlmutter to Krzanich, so maybe that can become a reality now. These 5 candidates are the people I think are most likely to be considered for the CEO position at Intel and I will be surprised if it is not one of the 5 on this list.